A mystery film is a genre of film that revolves around the solution of a problem or a crime. It focuses on the efforts of the detective, private investigator or amateur sleuth to solve the mysterious circumstances of an issue by means of clues, investigation, and clever deduction. Mystery films mainly focus with solving a crime or a puzzle. The mystery generally revolves around a murder which must then be solved by policemen, private detectives, or amateur sleuths. The viewer is presented with a series of likely suspects, some of whom are "red herrings," –persons who have motive to commit the crime but did not actually do it–, and attempts to solve the puzzle along with the investigator. At times the viewer is presented with information not available to the main character. The central character usually explores the unsolved crime, unmasks the perpetrator, and puts an end to the effects of the villainy. In France, the popular Nick Carter detective novels inspired the first film serial, Nick Carter, le roi des détectives (1908). This six-episode series was followed with Nouveaux aventures de Nick Carter in 1909. Louis Feuillade created the highly popular Fantômas (1913–14) serial based on the best-selling serial novel about a super-criminal pursued by a stubborn inspector Juve. Dujardin wears a mask and costume similar to Fantomas' in an apparent tribute in The Artist, a nostalgic 2011 film about silent cinema.) Later detective serials by Feuillade include The Vampires (1915), Judex (1916), Tih Minh (1918), and Barrabas (1919). Feuillade's films, which combined realism, poetic imagery, and pure fantasy, influenced the American The Perils of Pauline (1914), directors such as René Clair, and Surrealists such as André Breton. The earliest true mystery films include The Gold Bug (1910), also from France, and The Murders in the Rue Morgue (1914). Both are derived from stories by Edgar Allan Poe, which is appropriate as Poe is often credited with creating modern detective fiction as well as the first private detective character, C. Auguste Dupin. Universal Pictures renamed him Pierre Dupin in Murders in the Rue Morgue (1932), an atmospheric horror-mystery starring Bela Lugosi. The film was remade twice more in 1953 and 1971. Poe's second Dupin story, The Mystery of Marie Rogêt, was filmed in 1942. More recently, The Raven (2012) presented a fictionalized account of the last days of Poe's life. Here, the author pursues a mysterious serial killer whose murders are directly inspired by his stories. Charles Dickens' unfinished novel The Mystery of Edwin Drood (1870) was completed by another author and eventually adapted to the screen. Two films, now believed lost, were made in 1909 and 1914. Universal produced The Mystery of Edwin Drood (1935). The story was remade again in 1993. Universal, known mostly for its long list of classic horror films, also created perhaps the first supernatural horror-whodunit hybrid with Night Monster (1942). American author Mary Roberts Rinehart (1876–1958), is credited with inventing the "Had-I-But-Known" school of mystery writing (as well as the phrase, "The butler did it"). Her 1920 "old dark house" novel (and play) The Bat was filmed as The Bat (1926), as The Bat Whispers (1930), and a third time a remake, The Bat (1959), starring Vincent Price. Another movie based on a play, The Cat and the Canary (1927), pioneered the "comedy-mystery" genre. Remade several times, including a version with Bob Hope released in 1939. Undoubtedly the most famous of the amateur detectives to appear on the silver screen is the archetypal Sherlock Holmes. Since 1903 Holmes has been portrayed by a multitude of actors in over 200 films. Perhaps the earliest detective comedy is Buster Keaton's Sherlock Jr. (1924). Until recently, the only American-made series starred Basil Rathbone and Nigel Bruce as Holmes and Dr. Watson. Together they made 14 films between 1939 and 1946. The first two, at 20th Century Fox, were period piece mysteries set in the late-Victorian era of the original stories. By the third film, Sherlock Holmes and the Voice of Terror (1942), now taken up by Universal Studios, Holmes was updated to the present day. Several films dealt with World War II and thwarting Nazi spies. The crime novelist Dorothy L. Sayers (1893-1957) created the archetypal British aristocratic sleuth Lord Peter Wimsey in 1923. Peter Haddon first played Wimsey in The Silent Passenger (1935), written by Sayers specifically for the screen. This was followed by Busman's Honeymoon (1940), also released as Haunted Honeymoon, with Robert Montgomery as Wimsey. Later, Montgomery would also play Raymond Chandler's detective Philip Marlowe in The Lady in the Lake (1947). Other literary sleuths who were brought to the screen include Charlie Chan, Ellery Queen, Nancy Drew, Nero Wolfe, and Agatha Christie's Miss Marple and Hercule Poirot. To date, 32 films and dozens of television adaptations have been made based on Christie's novels. British private detective and adventurer Bulldog Drummond was featured in 24 films from 1922 to 1969 and was one of the prototypes for Ian Fleming's James Bond character. A few silent Charlie Chan films, now lost, were produced in the 1920s. Starting in 1929, the B-picture unit at Fox Film Corporation (later part of 20th Century Fox) began a series of 28 commercially successful Charlie Chan films. (Monogram Pictures continued the series from 1944 to 1949 with 17 more entries.) The success of the Chan films led Fox to hire exiled actor Peter Lorre to play Japanese sleuth Mr. Moto in 8 films from 1937 to 1939. Monogram responded by creating their own gentlemanly Oriental detective, Mr. Wong, adapted from a Hugh Wiley story. Beginning with Mr. Wong, Detective, Boris Karloff played Wong in 5 of 6 films produced from 1938 to 1941. RKO purchased the rights to a Hildegarde Withers story by Stuart Palmer and launched a six-film series starting with The Penguin Pool Murder (1932). Edna May Oliver played Withers, a schoolteacher with a yen for sleuthing who becomes involved with a police inspector. The last film was released in 1937. The Philo Vance detective novels by S. S. Van Dine inspired 15 feature films released from 1929 to 1947. The Canary Murder Case (1929), starring William Powell as Vance, has been called the first modern detective film. Initially made as a silent movie, it was converted into a talkie halfway through production. (Co-star Louise Brooks was blacklisted by Paramount Pictures after famously refusing to return to Hollywood to dub her dialog.) Powell played the suave New York detective in the first three films. A pre-Sherlock Holmes Basil Rathbone played Vance in the 4th movie. Powell returned once more for the fifth feature, the highly regarded The Kennel Murder Case (1933) produced by Warner Brothers. Powell then landed his signature role playing the equally debonair Nick Charles opposite Myrna Loy as his carefree wife "Nora" in the Thin Man series. Six films in all were produced by Metro-Goldwyn-Mayer from 1934 to 1947. Based on The Thin Man novel by Dashiell Hammett, these were witty, sophisticated romps that combined elements of the screwball comedy film within a complex murder mystery plot. In the middle of this series, RKO hired Powell and Jean Arthur for The Ex-Mrs. Bradford (1936), a breezy comedy-mystery that successfully replicated MGM's Thin Man formula. Warner Brothers responded with a similar comedy, Footsteps in the Dark (1941), with Errol Flynn playing a married stockbroker who leads a double life as a mystery writer/sleuth. Many of the films of this period, including the Thin Man series, concluded with an explanatory detective dénouement that quickly became a cinematic (and literary) cliche. With the suspects gathered together, the detective would dramatically announce that "The killer is in this very room!" before going over the various clues that revealed the identity of the murderer. Lady in the Lake (1947), from the Raymond Chandler novel, starred Robert Montgomery, who also directed. This film was filmed entirely from Marlowe's viewpoint. The audience sees only what he does. Montgomery only appears on camera a few times, once in a mirror reflection. Another Chandler novel The High Window was made into the film The Brasher Doubloon (also 1947) starring George Montgomery. This was essentially a remake of Time to Kill (1942), a Michael Shayne adventure starring Lloyd Nolan. Chandler also wrote an original screenplay for The Blue Dahlia (1946) starring Alan Ladd. The Glass Key (1942), also starring Ladd, was the second film adaptation of Hammett's novel. Another standout film of this period is Out of the Past (1947) starring Robert Mitchum, who would go on to play Philip Marlowe three decades later. Otto Preminger's Laura (1944) is also a classic murder mystery featuring Dana Andrews as a lone-wolf police detective. Pulp novel detective Nick Carter returned in a trilogy of films released by MGM starring Walter Pidgeon: Nick Carter, Master Detective (1939), Sky Murder (1940), and Phantom Raiders (1940). Columbia produced a serial, Chick Carter, Detective (1946). The lead character was changed to Nick Carter's son as the studio could not afford the rights to produce a Nick Carter serial. The whodunit novels of Baynard Kendrick about blind private detective Mac Maclain were made into two films starring Edward Arnold, Eyes in the Night (1942) and The Hidden Eye (1945). The popular radio show The Whistler was turned into a series of 8 mystery films from 1944 to 1948. Richard Dix would introduce the stories and alternate between playing a hero, a villain, or a victim of circumstance. In Mysterious Intruder (1946), he was a private eye. It was one of the few series to gain acceptance with the public and critics alike. Another radio drama, I Love a Mystery (1939–1944), about a private detective agency, inspired three films starring Jim Bannon. I Love A Mystery (1945), The Devil's Mask and The Unknown (both 1946) combined offbeat murder mystery stories with atmospheric horror elements. Another popular series featured George Sanders as the suave Falcon. Sixteen films were made from 1941 to 1949. Sanders decided to leave the series during the fourth entry, The Falcon's Brother. His character was killed off and replaced by Sanders' real-life brother, Tom Conway. Comedian Red Skelton played inept radio detective "The Fox" in a trio of comedies, Whistling in the Dark (1941), Whistling in Dixie (1942), and Whistling in Brooklyn (1943). With Spellbound (1945), director Alfred Hitchcock created an early psychological mystery thriller. This film, along with Fear in the Night (1947), explores the effects of amnesia, hypnosis, and psychoanalysis. Both films also feature surreal dream sequences which are essential to the plot. Agatha Christie's novel Ten Little Indians (1939, originally Ten Little Niggers, later changed again to And Then There Were None) presented the concept of a mysterious killer preying on a group of strangers trapped at an isolated location (in this case, Indian Island). This was made into And Then There Were None (1945), directed by the French exile René Clair. Three more film versions, all titled Ten Little Indians, were released in 1965, 1974, and 1989 along with the 1987 Russian film Desyat Negrityat. Veteran private eye Philip Marlowe returned as a modern-day sleuth in Marlowe (1969) played by James Garner (based on Chandler's The Little Sister), and in Robert Altman's revisionist The Long Goodbye (1973) played by Elliott Gould. Robert Mitchum played Marlowe in the remake of The Big Sleep (1978) set in contemporary London. Paul Newman portrays a modernized Lew Archer (changed to Harper) in Harper (1966) and The Drowning Pool (1976), based on Ross Macdonald's 1949–50 novels. Craig Stevens reprised his role as suave private eye Peter Gunn in Gunn (1967), a sixties-mod update of his atmospheric, film noir Peter Gunn TV series (1958–61). Bulldog Drummond returned as a contemporary sleuth in Deadlier Than the Male (1967) and Some Girls Do (1969). Both films were produced in the extravagant style of a James Bond espionage yarn. The remake of I, the Jury (1982) brought back Mike Hammer (revived again in the 1984–87 television series, Mickey Spillane's Mike Hammer). Kiss Kiss Bang Bang (2005) is a modernized adaptation of Brett Halliday's 1941 Michael Shayne novel Bodies Are Where You Find Them. The many period films set in the 1930s and 1940s are led by Roman Polanski's classic Chinatown (1974) starring Jack Nicholson and its belated sequel, The Two Jakes (1990), which Nicholson also directed. Robert Mitchum played Marlowe for the first time in Farewell, My Lovely (1975), perhaps the most faithful adaptation of this often-filmed book. The obscure Chandler (1972) is set in the 1940s but has nothing to do with Raymond Chandler's writings. The television film Goodnight, My Love (1972) with Richard Boone and two short-lived TV series, Banyon (1972–73) and City of Angels (1976) were also set in the 1930s and pay tribute to the Sam Spade/Philip Marlowe model. And the television film Who Is the Black Dahlia? (1975) recreates the true unsolved murder case from 1947. Agatha Christie's elegant Murder on the Orient Express (1974) and Death on the Nile (1978) were colorful, lavish productions rich in 1930s period detail. Earlier, a series of lighthearted Miss Marple mysteries were loosely adapted from Christie's novels. Margaret Rutherford starred in Murder, She Said (1961), Murder Most Foul (1964), Murder Ahoy! (1965), and did a humorous cameo appearance as Marple in the Hercule Poirot mystery The Alphabet Murders (1965). The evergreen Sherlock Holmes was given a revisionist treatment in Billy Wilder's The Private Life of Sherlock Holmes (1970). In The Seven Percent Solution (1976), Dr. Sigmund Freud himself cures Holmes of his drug addiction. And two films, A Study in Terror (1965) and Murder by Decree (1979), which includes scenes of lurid gore, put Holmes in pursuit of the mysterious real-life serial murderer Jack the Ripper. The definitive and most faithful adaptation of the original stories was done by the British TV series The Adventures of Sherlock Holmes starring Jeremy Brett as Holmes and David Burke as Watson, in 41 episodes which ran from 1984-1994. 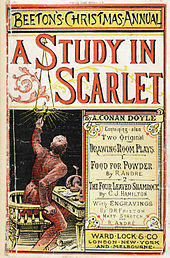 Later Holmes films are often inventions that have little or nothing to do with the original Arthur Conan Doyle stories, such as Young Sherlock Holmes (1985), produced by Steven Spielberg's Amblin Entertainment, which puts the teenage sleuth in an action-adventure story replete with computer-generated special effects. The reinvention of Holmes has continued as evidenced by the revamped, big-budget Warner Bros. series directed by Guy Ritchie. In Sherlock Holmes (2009) and Sherlock Holmes: A Game of Shadows (2011), the cerebral detective (played by Robert Downey, Jr.) is transformed into an athletic (and romantic) action hero in a steampunk fantasy version of Victorian England. The New Wave of modern detective films may well begin with Jean-Luc Godard's offbeat Alphaville (1965) with its traditional, raincoat-and-fedora private eye placed in a futuristic, science fiction-based story. The film is part homage, part parody of the detective genre. Godard followed this with Made in U.S.A. (1966), an ironic, unconventional murder mystery of sorts that lightly references the Howard Hawks classic The Big Sleep. Frank Sinatra is a cynical, Bogart-like gumshoe in Tony Rome (1967) and its sequel Lady in Cement (1968) — and a tough police investigator in The Detective (1968). John D. MacDonald wrote 21 Travis McGee novels, but only one, Darker than Amber (1970) was filmed. George Peppard is a traditional private detective in P.J. (1968). Kirk Douglas is an ex-cop turned private sleuth/body guard in the more light-hearted A Lovely Way to Die (1968). Robert Culp and Bill Cosby are hard-luck private eyes in the downbeat and violent Hickey & Boggs (1972). Burt Reynolds plays a tongue-in-cheek Shamus (1973), and Burt Lancaster is a retired cop turned sleuth in The Midnight Man (1974). Two of the finest examples star Gene Hackman in The Conversation (1974) and Night Moves (1975). Brick (2005), written and directed by Rian Johnson, is a unique homage bordering on parody which brings the terse, slang-filled dialog of Raymond Chandler to a modern-day California high school where a teenage sleuth investigates a murder connected to a drug ring. Concurrently, the hero-gets-amnesia story became a frequently used television cliche (see TV Tropes). There were two series, the western A Man Called Shenandoah (1965–1966), and the contemporary drama Coronet Blue (filmed 1965, broadcast 1967), both about a man with no memories. Numerous crime-dramas, adventure shows, and comedies featured episodes in which the lead character has temporary amnesia. These include The Addams Family, The Munsters (both 1965),The Man from U.N.C.L.E. (1966), Get Smart (1967), The Wild Wild West, The Big Valley, Star Trek (all from 1968), It Takes a Thief (1969), The Mod Squad (1971), Hawaii Five-O (1972), Gunsmoke (1973), and Charlie's Angels (1978). By the end of the 1970s, this now shop-worn plot device became dormant once again until resurfacing in a spate of mystery thrillers in the 1990s (see the Psychological thriller section below). The police procedural film, often with a surprise twist ending, has also remained a vital format with Cruising (1980), Gorky Park (1983), Tightrope (1984), The Dead Pool (1988), Mississippi Burning (1988), Mortal Thoughts (1991), Rising Sun (1993), Striking Distance (1993), The Usual Suspects (1995), Lone Star (1996), Under Suspicion (2000), Blood Work (2002), Mystic River (2003), Mindhunters (2004), In the Valley of Elah (2007), and Righteous Kill (2008). Other films in which this blend occurs include When the Bough Breaks (1994), Seven (1995), Kiss the Girls (1997), adapted from the James Patterson novel, The Bone Collector (1999), Mercy (2000), Along Came a Spider (2001), also by Patterson, Insomnia (2002), and Taking Lives (2004). In many modern day mystery films, everyday characters (such as fathers, mothers, teens, business people, etc.) are dragged into a dangerous conflict or a mysterious situation, either by fate or their own curiosity. Common elements in these stories include searching for a missing person (a friend or family member) as in Flightplan (2005) with Jodie Foster, while being surrounded by red herrings, espionage, criminal or political conspiracies, and friends/relatives with a secret past or a double life. Such films include the horror mysteries Scream and its sequels (1996–2011), the Saw franchise (2004–2010), The Orphanage (2006), What Lies Beneath (2000), Cry Wolf (2005), Devil (2010), The Ring (2002) and the mystery thrillers Secret Window (2004), The Machinist (2004), The Forgotten (2005), The Number 23 (2006), and Identity (2003). Period-piece L.A. police detective stories set in the 1940s and '50s returned — with a harder edge and occasional parallels to contemporary issues — in Mulholland Falls (1996), and L.A. Confidential (1997) which was nominated for nine Academy Awards and won two. Both True Confessions (1981) and De Palma's The Black Dahlia (2006) are based on an actual unsolved Hollywood murder case from 1947. Hollywoodland (2006) explores the mysterious 1959 death of actor George Reeves, who is portrayed by Ben Affleck. Among the few nostalgia-based comedy-mysteries are the board game-inspired Clue (1985), set in 1954, and Radioland Murders (1994), which recreates the era of old-time radio programs and pays homage to 1930s screwball comedies. Larry Blamire's Dark and Stormy Night (2009), set in 1930, spoofs the cliched characters and plot elements of vintage "old dark house" murder mysteries. The Name of the Rose (1986), from the Umberto Eco novel, features a 13th-century Sherlock Holmsian monk. The medieval era Cadfael series of television mysteries also took the form of historical fiction.